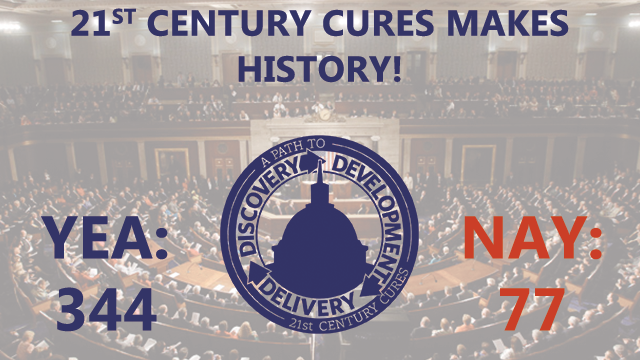 In July, the House passed the 21st Century Cures Act HR 6, historic legislation that holds the potential to dramatically advance rare disease research and treatments. But the companion bill called, Innovation for Healthier Americans, has stalled in the Senate. We need your help to ensure the bill is acted upon TODAY. 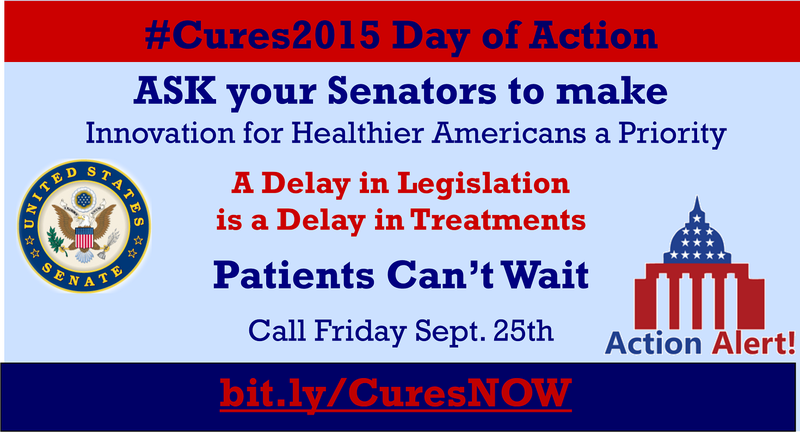 Patients can’t wait, as a delay in legislation is a delay in treatment. 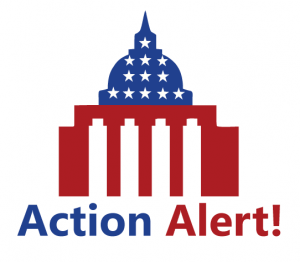 Please take a moment to visit the action alert site and send a message to your Senator to ask him or her to prioritize Innovation for Healthier Americans. More than 300 patient advocates and industry leaders as well as staff from Capitol Hill and federal agencies joined us last week for the fourth annual RareVoice Awards Gala at Arena Stage in Washington, DC. Dr. Steve Groft received a Lifetime Achievement award for his dedication to stimulating research and advancing development of therapies during his tenure at the Food and Drug Administration (FDA) and National Institutes of Health (NIH), where he served as Director of the Office of Rare Disease Research from 1993 until his retirement in 2014. The judges had difficulty selecting the winners among the passionate patient advocates making a difference in states across the country and on Capitol Hill. Patricia Weltin, President and Founder of the Rare Disease United Foundation, received an Abbey for patient advocacy at the state level. Lisa and Max Schill with RASopathies Network received an Abbey for patient advocacy at the federal level for their efforts in support of the 21st Century Cures Act. Ronald Bartek, President and Founder of the Friedreich’s Ataxia Research Alliance, received a Lifetime Achievement Award for his tireless advocacy before Congress as well as the FDA and Social Security Administration. The Chairman and members of the House Energy and Commerce Committee were recognized for their leadership on the 21st Century Cures Act which has several provisions critical to the rare disease community, including incentives to spur development of new therapies. Representative Fred Upton (R-MI) received a Lifetime Achievement Award. Representative Gus Bilirakis (R-FL), G.K. Butterfield (D-NC) and Diana DeGette (D-CO) were honored with Congressional Leadership Awards. Saul Hernandez, Deputy Chief of Staff and Legislative Director for Representative G.K. Butterfield, and Clay Alspach, Chief Health Counsel of the Energy and Commerce Committee, received Abbeys for their work on behalf of the rare disease community. Dr. Kakkis, President and Founder of the EveryLife Foundation for Rare Diseases, ended the awards ceremony with a call to action, urging everyone in attendance to contact their Senators to ask that the many provisions of the 21st Century Cures Act supported by the rare disease community be included in Innovation for Healthier Americans, the Senate companion bill. Photos of the awards ceremony and reception will be posted on the Rare Disease Legislative Advocates Facebook page and the RareVoice Awards website, so be sure to visit both. Thank you to Shire, the Presidential Sponsor, and other sponsors including AbbVie, Alexion, Amgen, Amicus, Genzyme, Novartis, PhRMA, Raptor, and Vertex. Proceeds from the Gala fund Rare Disease Week on Capitol Hill, to be held February 29 through March 3 next year. ASK your Senators to make Innovation for Healthier Americans a priority. A Delay in Legislation is a Delay in Treatments! Patients can’t wait. On September 25th, the EveryLife Foundation and Global Genes have planned a national drive to ensure the Senate takes up the recently passed 21st Century Cures legislation from the House. Motivated by the rallying cry that “Patients Can’t Wait”, both organizations plan to use the Global Genes Patient Advocacy Summit to pump up support and ensure that the Senate moves forward with this important legislation as soon as possible. For more information on this Day of Action, follow RDLA, Global Genes and the EveryLife Foundation on social media for the latest updates. In-District Lobby Days August 3rd – September 4th! In-District Lobby Days has concluded! 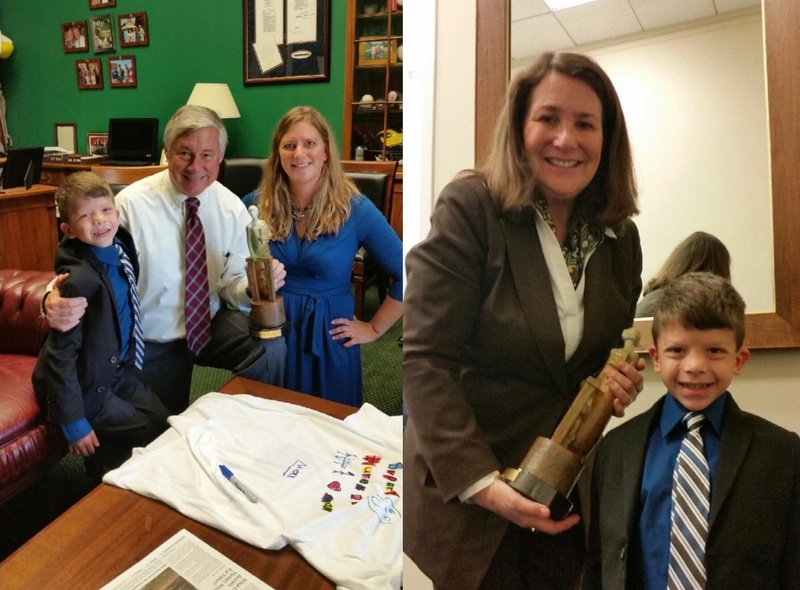 Rare disease advocates across the country streamed into the offices of their legislators, asking their Congressmen and Congresswomen to support pieces of legislation aimed at helping patients with rare diseases. Legislators have signed on to co-sponsor legislation, joined the Rare Disease Congressional Caucus, and agreed to support the Innovation for Healthier Americans when it is introduced in the Senate. 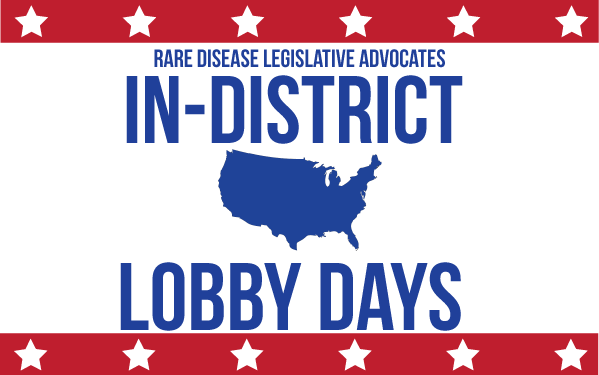 In-District Lobby Days is aimed at building relationships between the rare disease community and members of congress, while helping garner support for some pieces of legislation key to the community. Stay tuned with RDLA for more opportunities to advocate for the rare disease community. https://rareadvocates.org/wp-content/uploads/2015/06/In-District-Lobby-Days-2015-Rectangle.png 375 599 Grant Kerber https://rareadvocates.org/wp-content/uploads/2016/05/rdla-blue.png Grant Kerber2015-08-12 12:53:002015-09-22 14:16:44In-District Lobby Days August 3rd - September 4th! We are less than 24 hours away from the historic House vote on the 21st Century Cures Act. Unfortunately, several Members of Congress have introduced an amendment that would strip away billions in needed funding for NIH & FDA, which would undue much of what we have fought for. We cannot allow this amendment to stand! I know many of you called on Tuesday and your calls are making a difference and getting through. We’re asking you to call again to ensure that Congress gets the message. Please take a moment to call your Representative and urge them to vote YES on 21st Century Cures and to protect the Cures Innovation Fund. As always, THANK YOU for your support and for keeping up the fight! And don’t forget to share this with your networks. We’re close to the finish line! As soon as you read this, please click here to call your Member of Congress and urge them to vote YES on the 21st Century Cures Act HR 6. This week the House will hold a floor vote that will determine the fate of the 21st Century Cures Act HR 6. This historic legislation holds the potential to dramatically advance rare disease research and includes the OPEN ACT, legislation that could double the number of rare disease treatments. But we need your help to ensure the bill passes the House. Your call and your voice could help make the difference. Please take a few moments to call and take a stand for rare disease patients everywhere.